If you ask me, the whole point of being a cyclist is being able to ride up hills. It’s the purest form of self-expression on two wheels; a test of strength and character you can set against a backdrop as sublime as you’re willing to attempt. For those of us following the heroes of professional racing, it is the battles on steep slopes that imprint most vividly in our collective memory. The names of legendary climbs resonate with meaning for those who have witnessed feats of strength, courage and daring as these pinnacles stretch into the clouds: Alpe d’Huez, Zoncolan, Col du Galibier, the Mortirolo, Mont Ventoux, the Angliru, Col de Peyresourde. For those of us whose ambitions (and abilities) are more humble, the mountains present the chance to express our own passion for cycling, soaking up the burning, breathless experience of a truly lived reality, pushing deep into our reserves of glycogen and resilience, far from city desks and traffic. Riding up mountains is the kind of hard work that makes it worthwhile building the fitness and determination required. It’s also accessible to anyone with the inclination. The only barrier to entry is a willingness to get out there. Rolling to the start of the climb. Victoria, where I live, is lucky to have some stunning and challenging climbs within a few hours’ drive of Melbourne, but too many of us get stuck in our comfort zones, repeating the same rides week after week. 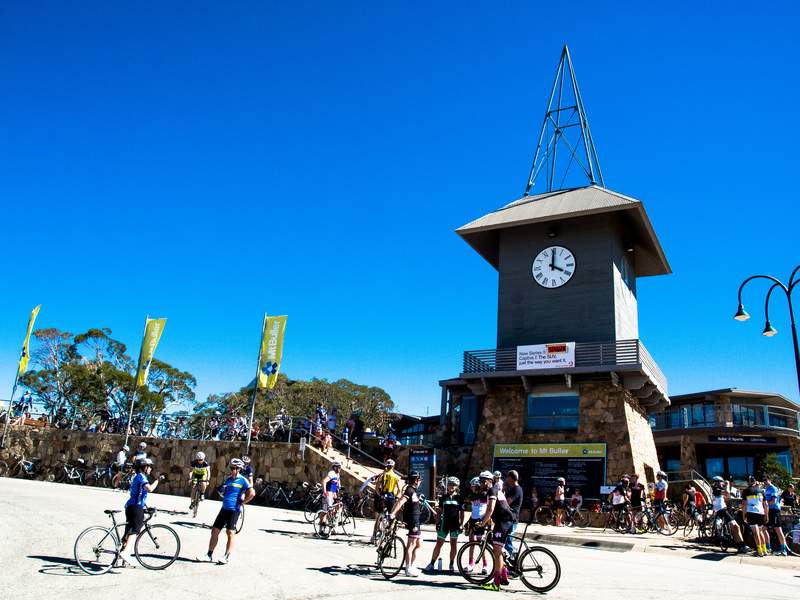 To drag riders out under their big skies, and generate some tourism during the relatively quiet summer season, the Victorian alpine resorts and regional tourism organisations have created the 7 Peaks series (http://www.7peaks.com.au/). Riders register for a ride passport, get it stamped at the top of each of the seven nominated ascents at any time between October and the end of March, and can win prizes. It’s a great initiative that has been very popular, but sometimes we just need an extra nudge to get out of town. Domestique is a project created by Matt de Neef, creator of the The Climbing Cyclist website and editor of Cycling Tips, and Andy Van Bergen, of hill-climbing obsessives Hells 500. These guys know their hills. 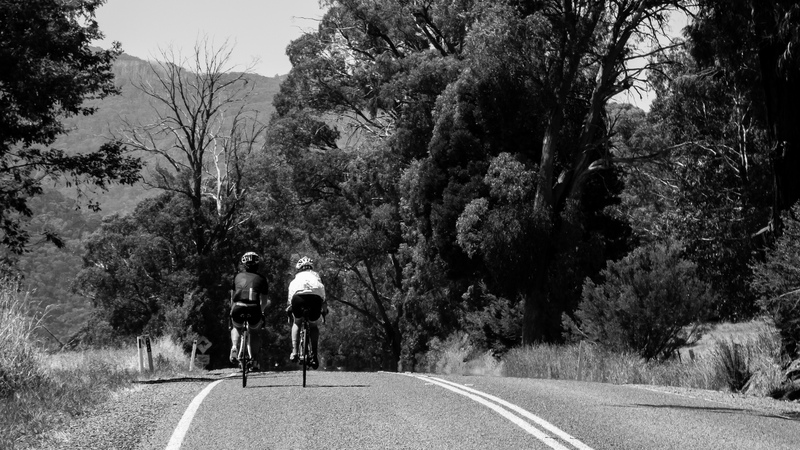 Domestique organises a free ride at each of seven climbs of the 7 Peaks Challenge, spread across the summer, providing structured opportunities for riders who want to complete part or all of the 7 Peaks series. The rides are for people of all abilities and levels of experience. They are not meant to be epics, they’re relatively short and fun. 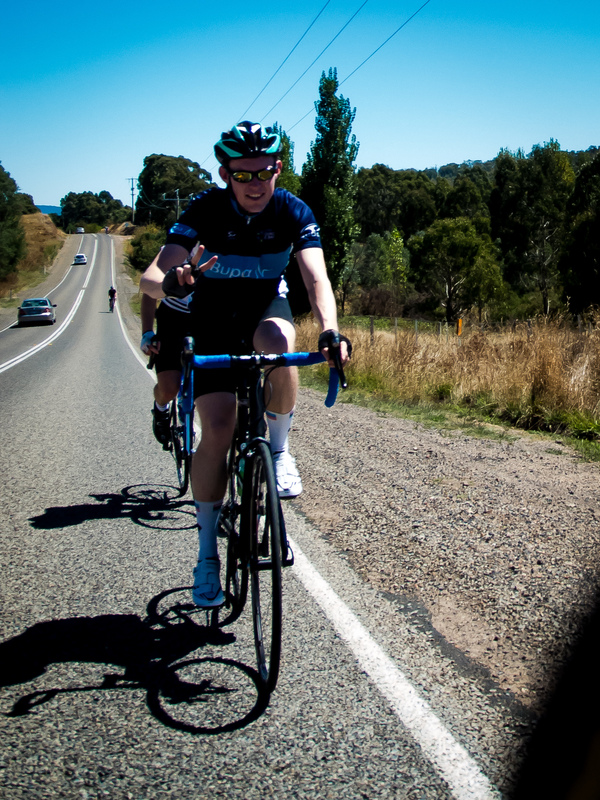 In late February I joined the final ride of the season, at Mt Buller (near Simon Gerrans’ home town of Mansfield, about 3 hours drive North-East of Melbourne). I was so impressed with the organisation and great vibe of the ride I followed up with organiser, Matt de Neef. I wanted to find out what motivated him to spend the time and energy to organise a series of rides, for no reward other than personal satisfaction. “Ever since we got into cycling Andy [van Bergen] and I have loved riding in the hills. And living in Victoria we’ve got some pretty great hills and mountains to ride up. We were both hooked by the idea of the 7 Peaks Alpine Ascent Challenge as soon as we heard of it, and we wanted to help introduce as many people as possible to the joy and satisfaction of tackling these great mountains. We knew there were some things that stopped people from riding in the mountains — no-one to ride with, a lack of confidence, a lack of experience — so we sought to create an environment where those barriers didn’t exist (or didn’t matter) and where everyone, regardless of their ability, would be welcome to tackle the mountain at their own pace. We’ve been lucky enough to collaborate with the 7 Peaks Alpine Ascent Challenge and I think it’s fair to say we’re all very happy with how things have gone. The series started in the summer of 2012-13 and we’ve just finished our second season. It’s been a steep learning curve for Andy and I but we’re having a great time doing it and we’re very proud of what we’ve achieved so far. Across the seven rides we organised this summer we recorded more than 1,400 successful climbs (more than 200 riders per event). 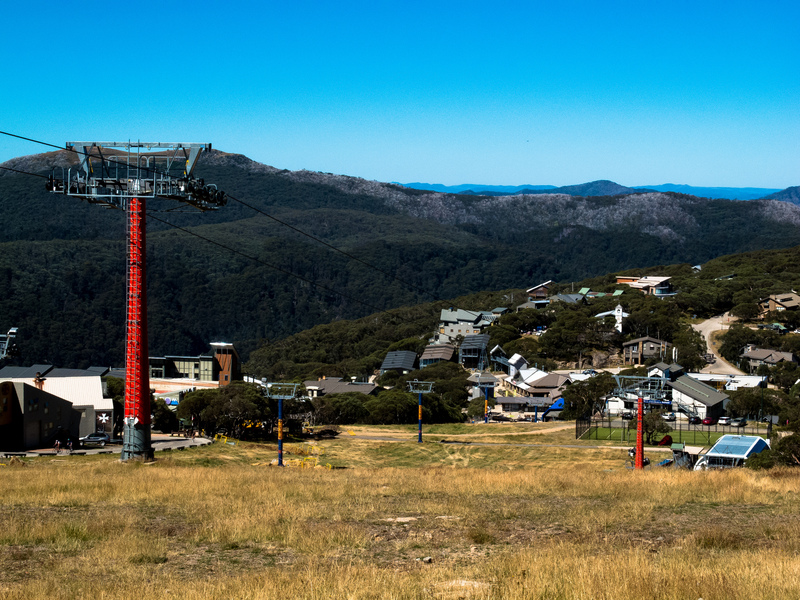 Lake Mountain was the most popular ride for the series, probably due to its proximity to Melbourne. That particular ride was probably also the most popular given Lake Mountain is one of the easier of the 7 Peaks (once you get up the first 4.5km). As a proof of concept goes, I would have to agree with Matt that this was a stunning success. In fact, managing that success may prove to be a challenge in itself as the rides grow in popularity. As to my own experience riding up Mt Buller, well I suppose I should share it. I drove up on the morning of the ride with my friend Gus and his brother Gerarde, shoehorned into the back of Gus’ car with my bike folded across my legs. A stop for the lunch of champions (a meat pie and a vanilla slice) from the bakery in Yea was washed down by a bidon of electrolyte mix as we continued on to Merrijig, 13km from the start of the ride. A gentle roll to the ride briefing at the Mirimbah toll-booth, a chance to fill bidons and grab some free nutrition products from event sponsors, and we were away. Never having attempted Mt Buller before, I wasn’t exactly nervous, but more prepared to just enjoy the ride and take in the scenery at a good pace. Gus and I posing at the summit. I wanted to give it a good crack, without doing anything silly. 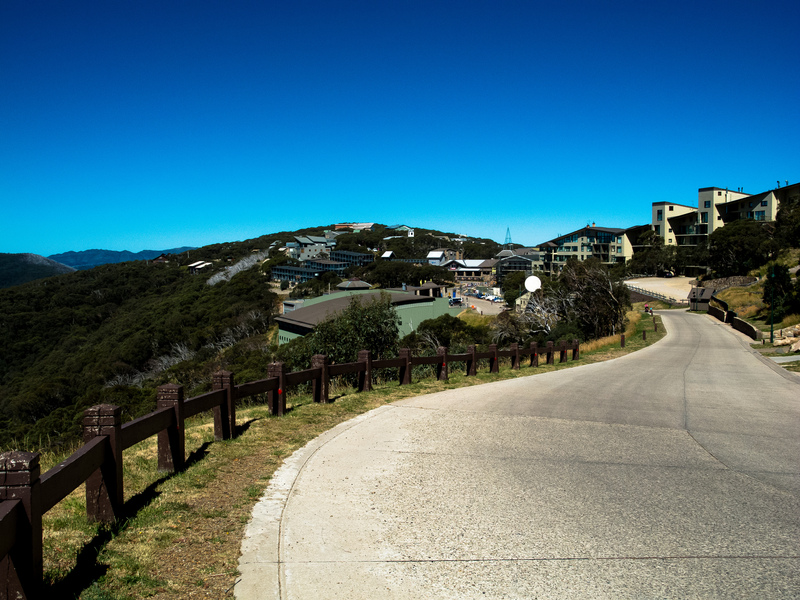 Mt Buller is a beautiful 15km climb, winding through forest and fern-lined gullies. It frequently opens out to provide stunning views across the valley. I’m a competent climber; as a reformed middle-distance runner my hamstrings are about as supple as lumpy bits of wood, but I have a decent engine and I know where my anaerobic threshold is. I settled into the climb, feeling my way into the gradient and trying not to fall into the trap of racing (this ride is not a race!) and blowing up early. I maintained a solid tempo, and fellow riders became less frequent as the climb progressed. With the roads closed to traffic the climb was serene, just the steady hum of my tyres on the road set against the rhythm of my breathing. I spent most of the second half of the climb alone, or trying to wind in someone disappearing around the next bend. 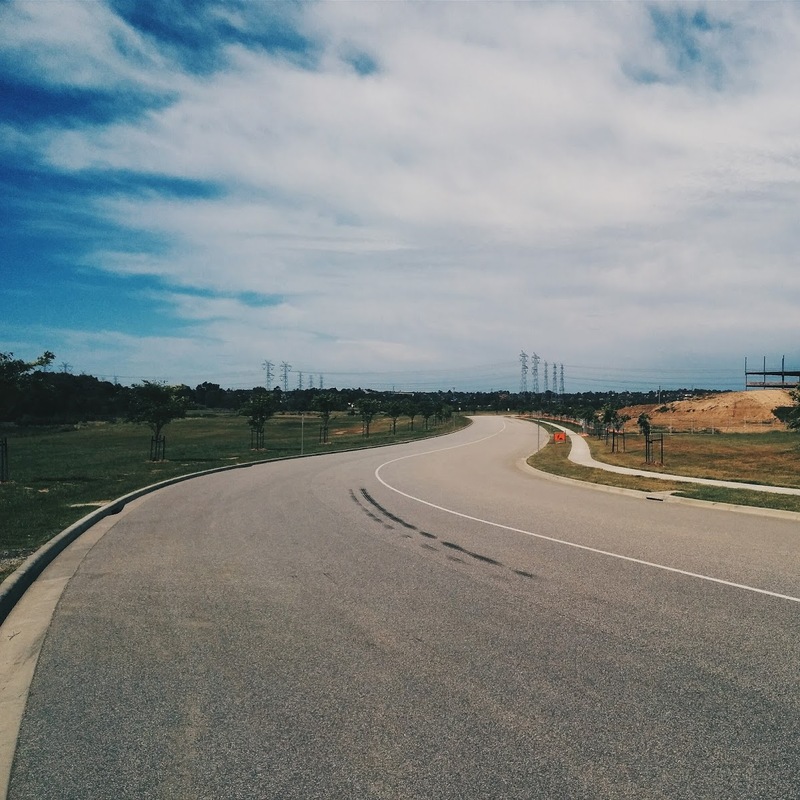 Riding virtually solo, on empty roads, was a meditative experience. The effort to catch each rider ahead of me grew harder, as the road wound through steep hairpins and ski lifts appeared overhead. The last stretch of the climb is the most challenging, as the gradient increases to wring the last drops of effort from already fatigued muscles. By now, most riders will have been climbing for roughly an hour. With sweat stinging my eyes, I made the last out of the saddle drive to the Mt Buller Alpine Village, the official end of the climb. Aware that there is a final stretch to the true top of the mountain where the sealed road finishes, I continued up the final, quad-crushing pinch and reached the top of Mt Buller. This is as far as the sealed road will take you. Sipping a can of coke with my mates at the summit, we were all buzzing with the sense of achievement. The carnival atmosphere (complete with DJ, jumping castle and a horde of hungry cyclists) was pumping, but the descent and roll back to the car was calling us. Next year we might stay at the summit. I had a great day at Mt Buller, and so did my mates and just about everyone I saw on the ride. The Domestique series hinges on this friendly, accessible vibe, and the 1,400 successful climbs this year says a lot about the success of the project. I will definitely be back next year, hopefully for all seven peaks, and if you live anywhere near Victoria (or are visiting during the summer) I highly recommend you come along. I’ve never met this guy, but he was enjoying the ride. 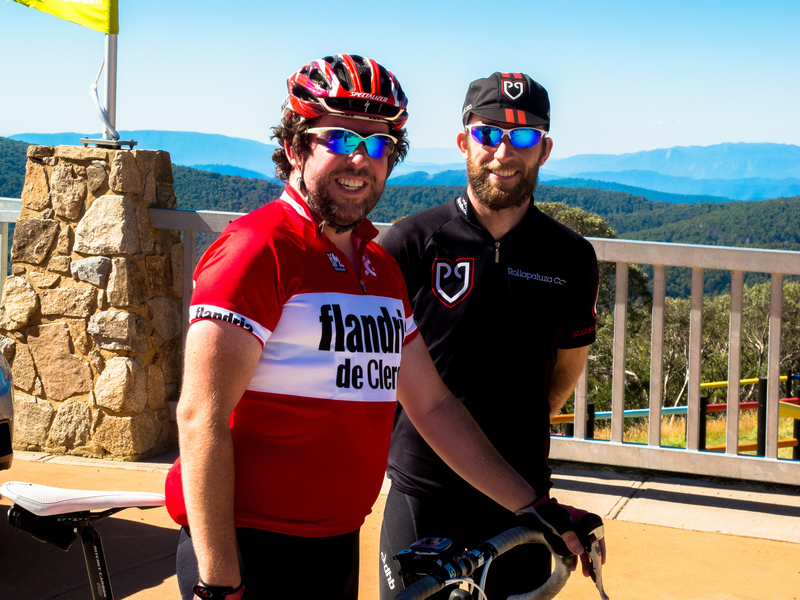 The Climbing Cyclist’s Mt Buller ride report with photos.